When John Sutter first arrived in California in 1839, his dream was to build an agricultural empire. In 1848, James Marshall, a carpenter working for Sutter, discovered gold at the sawmill Sutter was having built in Coloma, on the American River. Before the mill could be finished, word of the discovery was out. Sutter's workers deserted the Fort for the goldfields seeking their fortunes. By the 1850's, all that was left of Sutter's Fort was the central building. Sutter also seized Indian children in order to maintain an adequate labor supply: "From the first, he was in the habit of seizing Indian children, who were retained as servants or slaves at his establishment, or sent to his friends in different parts of the country. But he always took care to capture for this purpose only children from distant or hostile tribes (Bancroft, 1969:138) Sutter's Mewuk and Maidu laborers built the fort, plowed the rancho fields, tended the livestock, worked in the tannery, and served as soldiers in his army. Indian soldiers helped maintain Sutter's power by protecting his establishment from attack by other Indians, Mexican Americans, or others who wanted to interfere with his various frontier enterprises. Later on, many of these same Indian soldiers served with the United States forces during the Mexican War, and helped secure California for the United States. Sutter regularly supplied Indian laborers to other ranchos while he controlled the fort. Sutter maintained the fort and its business enterprises until October 1848. Unable to pay his debts, and in order to avoid foreclosure, he transferred his property to his eldest son. His son then surveyed and laid out what was to become the town of Sacramento. He offered lots for sale, and by November 1849, the town of Sacramento had a growing population of 10,000. In order to meet a debt of $40,000, Sutter's son sold the fort, and Sutter moved to Hock Ranch on the Feather River. He lived there until 1865 when he went East. Sutter's Fort deteriorated until 1890, when the Native Sons of the Golden West purchased it. The State of California restored the fort, and in 1937, it became part of the California State Park System. The Native Sons of the Golden West were influential in the restoration of the Fort which began in 1891 and was completed in 1893. Donated to the State of California, Sutter's Fort became a part of the California State Park System in 1947. Sutter's Fort stands as the oldest restored Fort in the United States. Today, the Fort is furnished and reconstructed to reflect its 1846 appearance. Follow Julie's board HISTORY Sutter Fort Gold Rush on Pinterest. 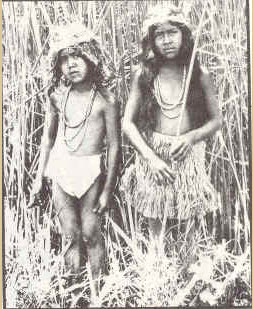 Native Children (like those of the Maidu) who were trained as laborers in Sutter's fort. Sutter's Mewuk and Maidu laborers built the fort, plowed the rancho fields, tended the livestock, worked in the tannery, and served as soldiers in his army. Indian soldiers helped maintain Sutter's power by protecting his establishment from attack by other Indians, Mexican Americans, or others who wanted to interfere with his various frontier enterprises. The movie is available for purchase through Amazon. Teacher Resources, timeline and articles FREE on website. The museum presents an online collection of articles, primary sources and photographs from the Gold Rush era. Celebrating the 150th anniversary of the gold rush, this collection of articles from the Sacramento Bee highlights the impact of the gold rush on California's history and development and features detailed maps and graphics. Browse the Oakland Museum's virtual tour of their "Gold Fever!" exhibit and browse gold rush timelines, paintings and biographies or enjoy multimedia clips and a gold rush quiz. Presented by the Huntington Library this wealth of documents -- including paintings, lithographs, journal entries and letters -- bring to life the people and places that defined the gold rush. 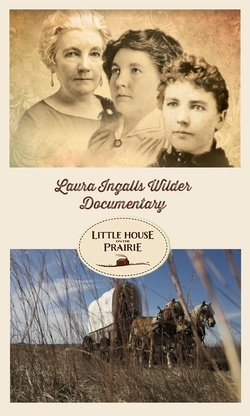 Little House on the Prairie: The Legacy of Laura Ingalls Wilder is a one-hour documentary that goes beyond the famed Little House book series to the behind-the-scenes, true life story of one of America’s most iconic authors, Laura Ingalls Wilder. MADE FOR TV SERIES on the INGALLs. We enjoyed it because it didn't have too much drama. Brought out some of the hardship. It doesn't go along with the book but was useful to visualize the time period before we began the study. image above (Click to link to a blog post with simple printable patterns and example of clothing worn by pioneers. One of our more MEMORIABLE Activities: Create a 'actual sized' covered wagon space. 10 feet by 4 feet outline with yarn. 'pack' your wagon and play pioneer. I love audio books. After dinner we get our comfy clothing on and pull out or sketchbooks or watercolors, I get to enjoy drawing, coloring or even hand sewing with the children as we listen together. Follow Julie's board HISTORY Westward Expansion Cowboys Little House on the Prairie on Pinterest.